Mia thinks rhyming is so much fun! Help Mia think of some fantastic rhymes for the words. Mia loves ballet but has mixed up all the instructions! 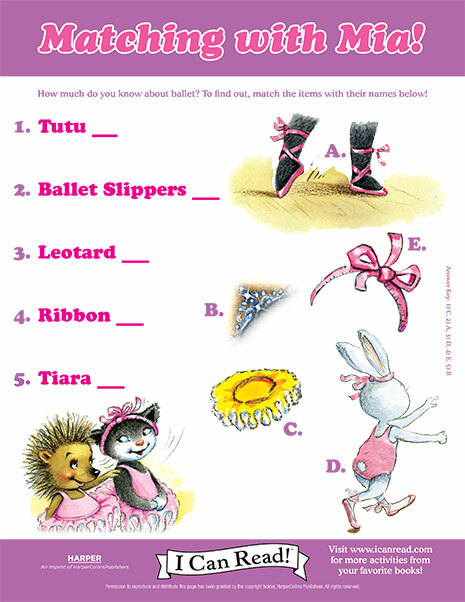 Can you help her with this word scrample with the words from Mia and the Too Big Tutu?